They’ve been handing out hugs to celebrate! The brand new Teletubbies series is starting Monday November 9th! 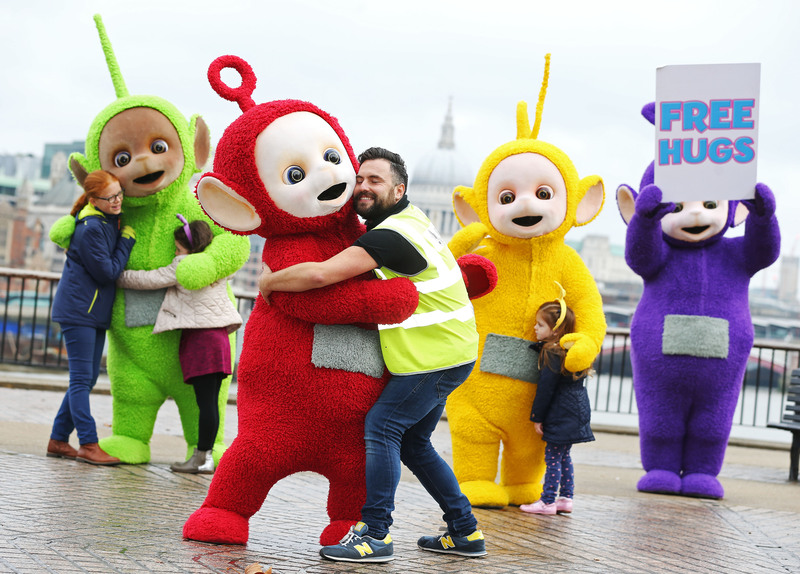 So to spread the exciting news, Tinky Winky, Dipsy, Laa-Laa and Po went into London with FREE HUGS signs and there were huge queues in minutes! Everyone wanted a hug from toddlers to busy workers! When you dress as the yellow teletubby for Halloween, but it’s before Teletubbies got huge so all the kids at school ask you why you’re dressed as a yellow pregnant alien. That’s right! Swifty herself loves the Teletubbies! I bet she wishes she was in London for a free hug too. The brand new series of Teletubbies starts on Monday 9th November on CBBC!